Dear friends and animal lovers! As a non-profit with full-time investigators working throughout the United States, Mexico, and Canada, we at Animals’ Angels investigate and document animal abuse. Our work has saved the lives of thousands of horses, dogs and farm animals. Now, we’re on a special mission, and we need your help. 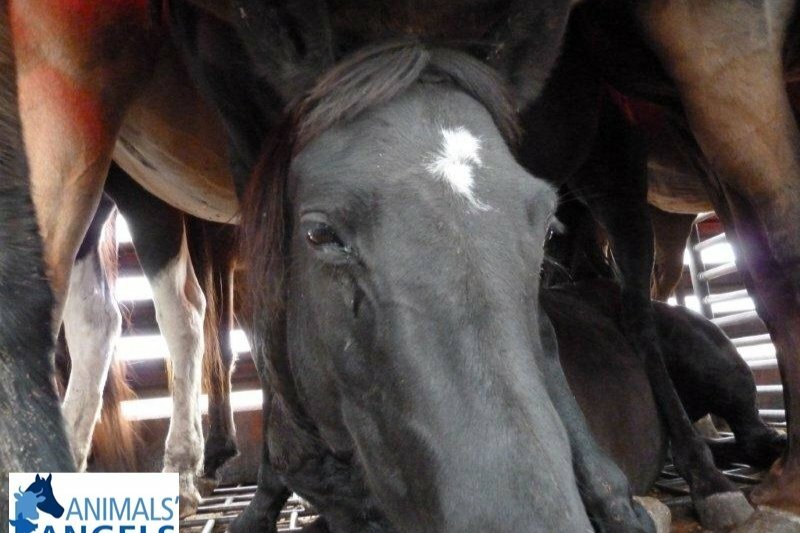 We're determined to shut down the horse slaughter pipeline that sends tens of thousands of horses a year on a miserable journey from the United States to brutal slaughter in Canada, all so their meat can be exported to Europe. … and the barbaric slaughter of horses in Canada to be sold for meat in Europe. We’ve already halted European imports of horsemeat from Mexico, saving thousands upon thousands of equine lives (56,000 since 2015!) and dramatically decreasing the number of horses shipped across the border from the US. But we need your help! Please watch our inspiring new video, Mission Possible, and see what we’ve accomplished already. 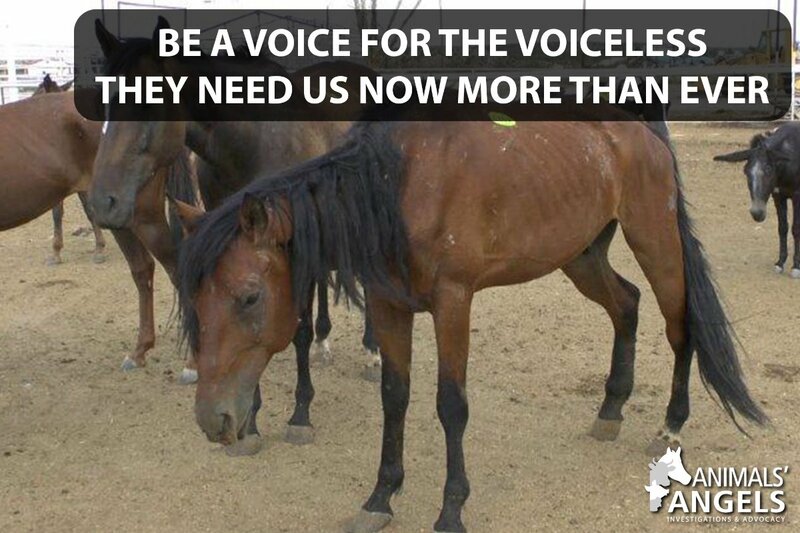 Your donation can help us end so much more suffering and spare countless more horses’ lives. How exactly will your donation help? 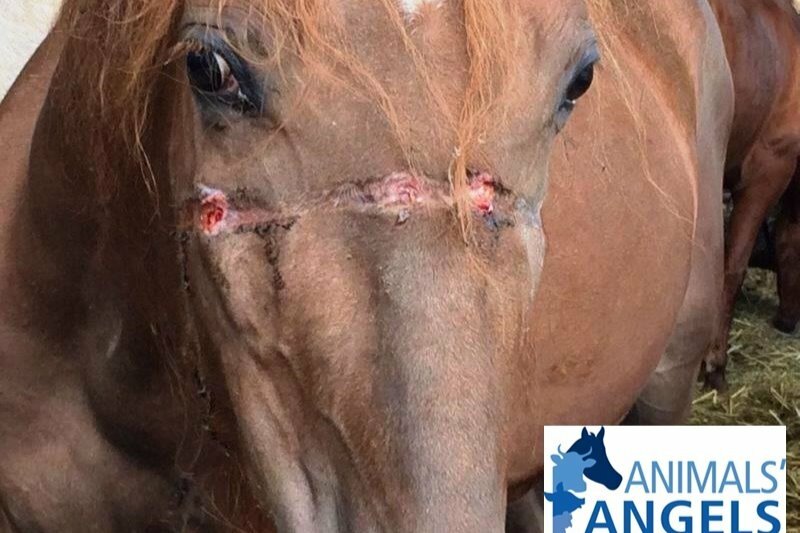 All money goes to funding the kind of Animals’ Angels investigations that have already improved conditions and saved horses. 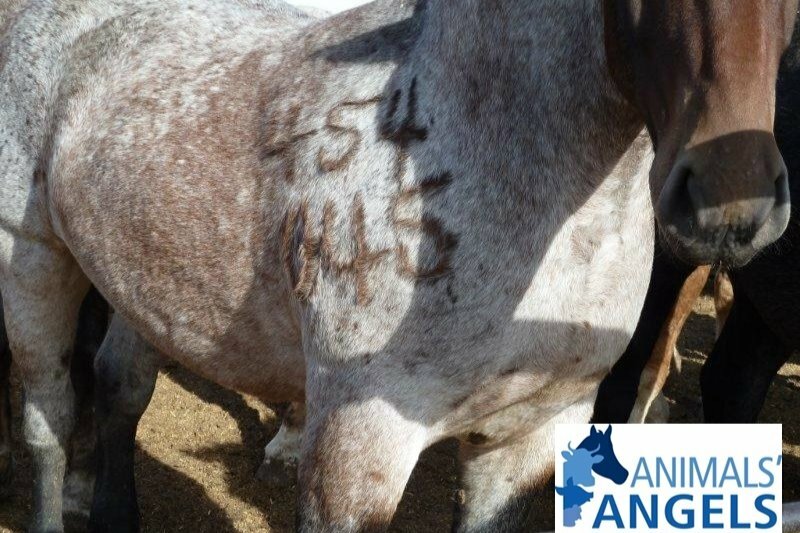 $5,000 will allow us to conduct investigations at all the key auctions and kill buyer feedlots in Montana, Iowa, Indiana, Ohio, Michigan and Pennsylvania and get the evidence we need against this predatory industry! Animals’ Angels teams are there with the animals every day. And you can be there with us, making our mission of shutting down the export of US horses to Canada for slaughter -- accomplished. We want to say a huge thank you for your generous donations! 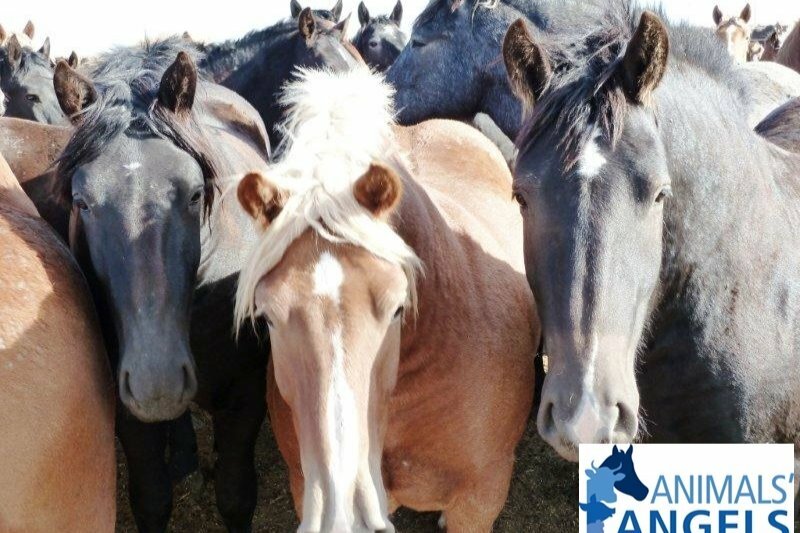 Thanks to you, accomplishing our mission of saving tens of thousands of horses by shutting down the slaughter pipeline from the US to Canada to Europe is within reach. We closed down the Mexico connection to Europe already. So please, share our GoFundMe campaign with your social media network and send it to five friends. Even $10 and a share can be the boost we need. You really can make a difference for the horses!